In any service environment, the people make the difference. Meet the Shields' corporate team. 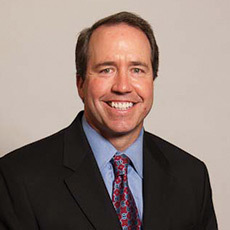 John Antaya is Shields Health Care Group’s Chief Marketing Officer, with responsibility for the company’s brand development, positioning Shields’ growth strategy and cultivating opportunities in new and existing markets. Antaya also directly manages Shields sales team and oversees all advertising, digital marketing and communications. Prior to being named CMO in 2010, John was Director of Sales at Shields, overseeing marketing activities, advertising and media. He was instrumental in establishing Shields partnerships with professional sports teams including the Patriots, Bruins and Celtics. He joined Shields in 2006 from CBS-TV where he worked for 12 years, lastly in the position of Director of Sports Sales. John holds a bachelor of science degree from the University of Massachusetts in Amherst. He enjoys spending time with his family, sports and traveling.